what is the name of the tiles in the splash back? What is the wood cladding under the kitchen bench please? Where from? 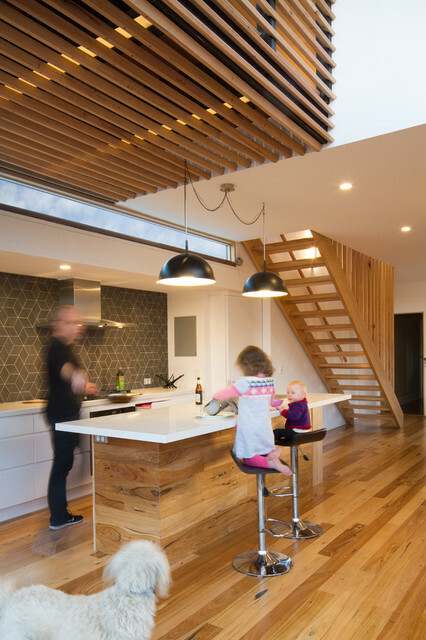 Messmate timber has been used on the island bench front, while the stairs have been made with Victorian Ash.